Darwin isn’t just the state capital of Northern Territory – it is also the party capital, and hosts a huge range of activities and party options for your Bucks party to enjoy! From some fantastic nightlife, to a huge host of adventure activities, excellent dining options and debauchery, you are spoiled for choice in this town. This extends to your accommodation options, as well. 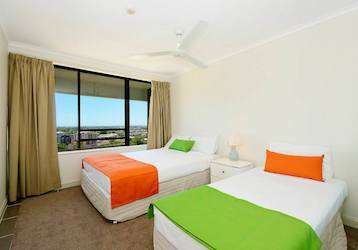 With everything from backpacker dorms to serviced apartment luxury, you will find exactly what you’re after. Scroll down and find your most suitable option now! This iconic spot has been providing a great stay in Darwin for many years, and now is your chance to sample it for yourself! With a variety of different rooms available, you are sure to find the right fit. Dorms are available, 4 and 8 beds per room, with both female-only and mixed genders available. All rooms are air conditioned, with lockers to store your valuables safely. Bedding is provided, along with key card access to both the rooms and the main building for after-hours purposes. Enjoy the sun deck, unwind in the TV room, and chill out in the pool after a long, hard day on the party trail! 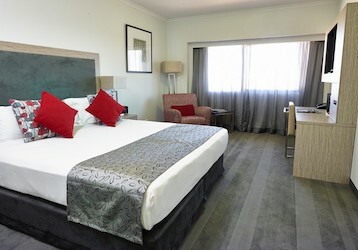 Three Star accommodation awaits you in this striking hotel, at the corner of the Esplanade and Herbert Street, in downtown Darwin. With a swimming pool, onsite parking, breakfast café, and tour booking on site, you are sure to enjoy your time here. Outside your door, the best of Darwin is right on your doorstep. Moments away, you’ll find restaurants, shopping options, nightlife, scenic walks, the Convention Centre, the State Parliament House, and more. Fall into the lap of luxury with a wide range of serviced, non-smoking, serviced apartments. 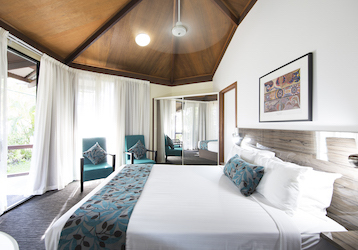 Complete with Austar in-room entertainment, a gym and fitness area, an outdoor pool and deck, and BBQ facilities, you will emerge from your stay here refreshed, relaxed, and rejuvenated. The welcoming staff here offers tourist information and booking services from the onsite reception, while undercover parking, electronic key swipe access, and a host of perks await you. What better time to treat yourself than your mates Bucks party? Get to it!